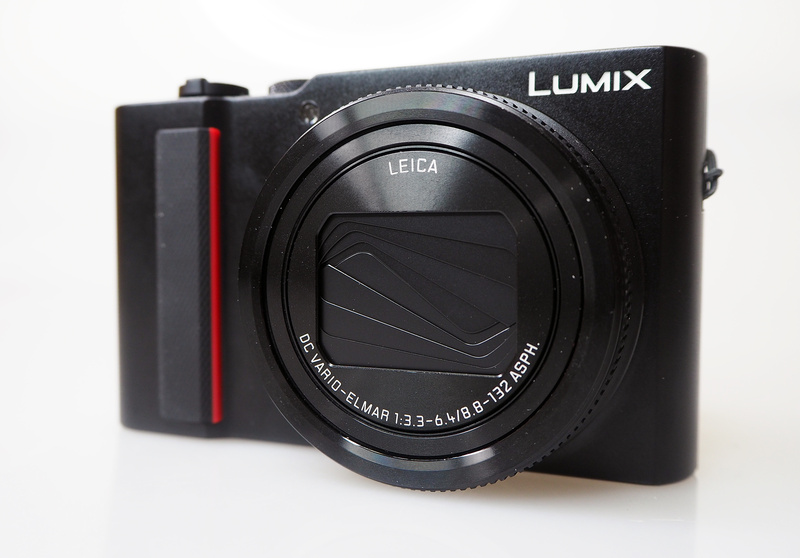 We review the new Panasonic Lumix TZ200 with a 15x optical zoom, 4K video and fresh design. Panasonic has expanded its line-up of serious compact cameras with the addition of the flagship Lumix TZ200, the highly anticipated TZ100 upgrade. The Panasonic Lumix TZ200 is a fixed lens, serious compact camera with manual controls that's designed to fit easily in your pocket while still offering a large zoom which makes it perfect for travel. It's also joining the TZ100 in the TZ line-up rather than replacing it which could mean we see reductions in the TZ100's price but those looking for improved specs and performance will be able to pick up the TZ200 in March for around £729 (Graphite silver or Black models will be available). The TZ200 features a 20.1Mp 1inch Back-lit CMOS Sensor which makes it a perfect travel zoom as the large sensor will help those who use it capture excellent images while the impressive 15x optical zoom, 24-360mm (35mm equivalent), which is 5x more zoom than what's built into the TZ100 (10x Optical Zoom, 25-250mm 35mm equivalent), makes it easy to focus on detail in the distance. As for digital zoom, this reaches 30x, 10 times more than the TZ100 has, and close-focusing is also improved with the camera being able to focus down to 3cm which gets you 2cm closer to the subject than the TZ100 can. 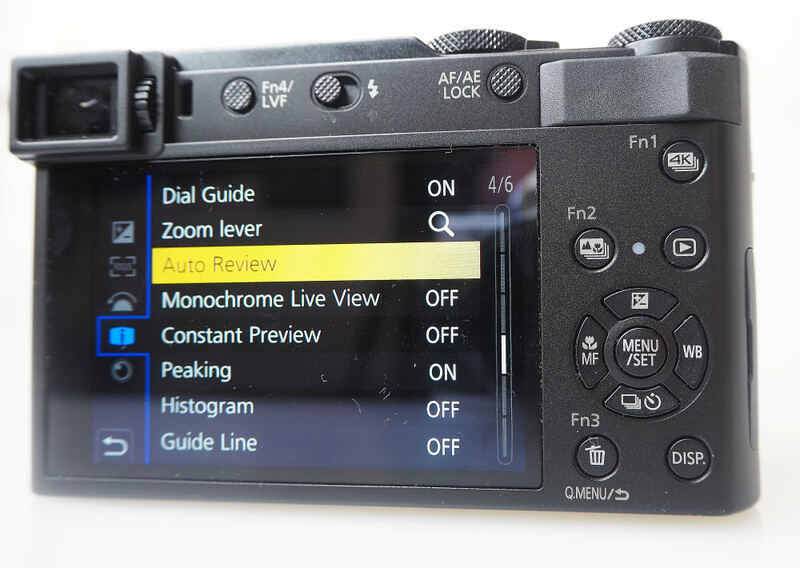 Full manual controls are built-in along with the option for in-camera raw processing. The dedicated linear motor found in the focus system means autofocus speeds are quick and Depth From Defocus technology is now built in which should further shorten focus times. 5-axis Hybrid OIS+ also keeps shots steady and 4K video footage smooth. All-in-all, its specs make the TZ200 an interesting and high-quality alternative, when you don't want to take a mirrorless CSC or DSLR camera with you. There are numerous shooting modes, including intelligent auto modes, creative effects, numerous scene modes, as well as manual movie recording, which records up to 4K (UHD) video at 30fps with stereo sound. The camera has built-in Wi-Fi and Bluetooth for remote control and transfer of images, and the back of the camera features a 1240K dot 3'' touch-screen as well as a 2330K dot equivalent live viewfinder with a magnification ratio of approximately 1.45x/0.53x (35mm equivalent). Focus Peaking shows you the peak of focus when in manual focus mode and you can set the point of focus easily, as well as enlarge images, via the responsive touchscreen. As well as capturing 4K video (30p/25p/24p in MP4), the TZ200 gives you the option to save 4K photos (30fps). Plus, the camera can auto mark images from 4K photo sequences as well as create sequences in one frame. Auto Marking works by the camera detecting motion or a face which it then sets a marker by and allows you to jump directly to the frame as soon as a situation changes (minimising time spent choosing the best shot). 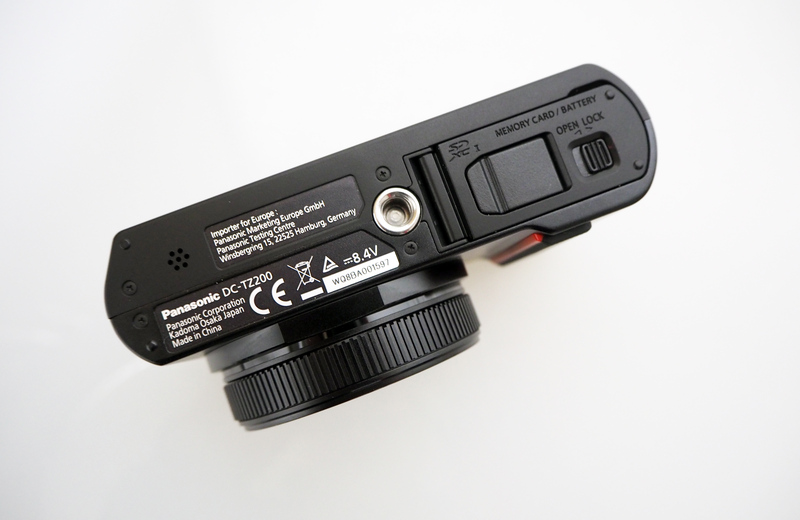 High-Speed Video enables the recording of fast-moving subjects in Full HD at 120 fps (50Hz Area - PAL), while Time Lapse / Stop Motion Animation are also available. Another creative function worth a mention is the new L Monochrome digital filter which gives images a black & white film feel to them. 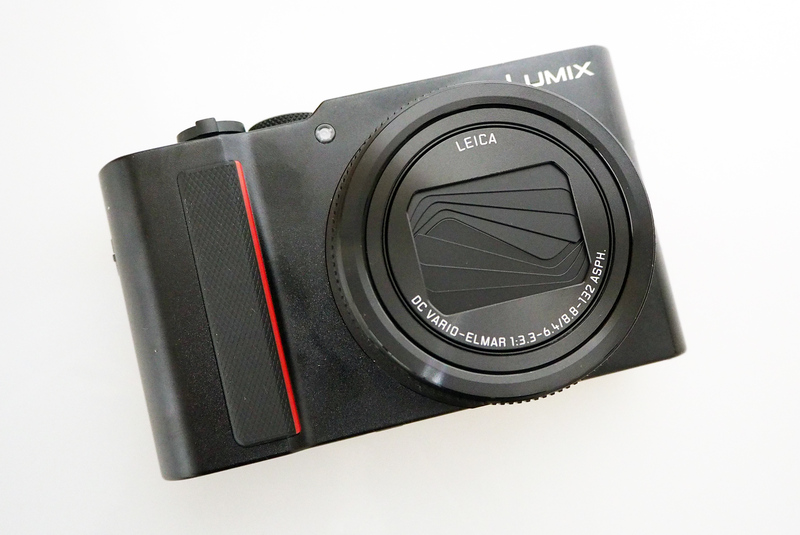 The Panasonic Lumix TZ200 has had a slight re-design, with the red stripe indicating the 'premium' level of the compact, which is more noticeable when you sit it side-by-side with the TZ100. In fact, the overall design of the TZ200 just makes it a better-looking camera and it's also more ergonomic thanks to the addition of a handgrip which makes the camera easier to keep hold of. It also feels well-built - exactly the way a premium compact camera should feel. Panasonic has stuck with the mechanical on/off switch which can still be found on top of the camera along with a command dial, mode dial, zoom rocker with a shutter-release button in the middle and a dedicated video button. There's also a built-in flash hidden away under a cover top-centre and as you'd expect, there are a good number of customisable function buttons on the camera, and you can also customise on-screen function buttons. As mentioned, there's an improved grip on the front which is now rubberised and textured and Panasonic has also added a recess on the back for your thumb, which is also rubberised, so the camera is definitely more grippy than the TZ100 and feels very comfortable to hold (even when carrying the camera around just in one hand). The added grips actually make a huge difference as when we reviewed the TZ100 we said the lack of rubber or textured areas was disappointing and we also found that we accidentally set the focus point to the top right of the screen as we had no-where for our thumb to sit. There is a control ring surrounding the lens on the front of the camera, and the lens protrudes quite noticeably from the front of the camera, making it quite bulky for a "pocket zoom" camera, but we found that it was still possible to fit the camera into regular jean pockets (just), although if you're a fan of skinny jeans you will struggle. Having said that, it doesn't take up too much room in a handbag or indeed a camera bag and on occasion, it didn't actually feel like a camera was being carried which goes to show how light it is. The screen is bright, clear and easy to use in bright outdoor conditions, however, we did find that the screen sometimes showed a much brighter image than what was captured but this can be corrected by adjusting the screen's brightness, contrast and saturation via the menu options. As it's a touch-screen, you can easily set the focus point to any area of the screen and also capture an image by pressing the screen. One thing that would have made this camera even better would have been the introduction of an articulated screen as they just make it easier to capture photos from awkward angles. 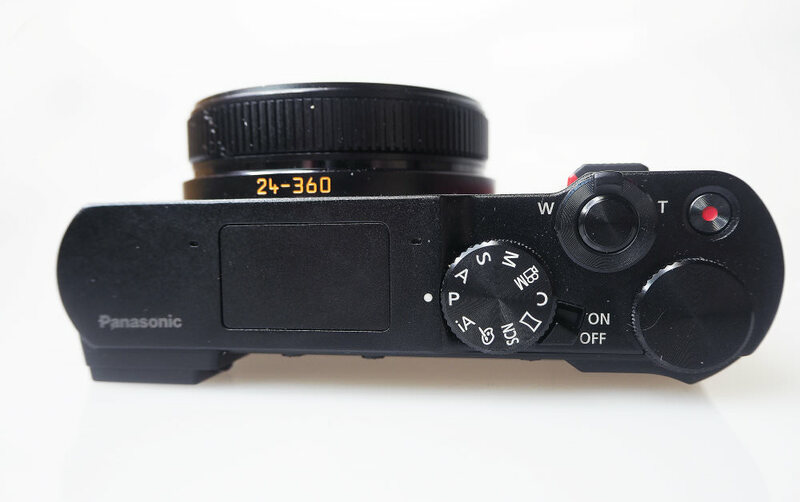 The electronic viewfinder (EVF) is still quite small but it does have an eye-detection sensor so that it will automatically switch to the EVF when you hold it up to your eye. The resolution is good and it also features a dioptre adjustment. When using the EVF you can use the touch-screen to move the focus position but you can turn this feature off should you find you accidentally do this with your nose or cheek. 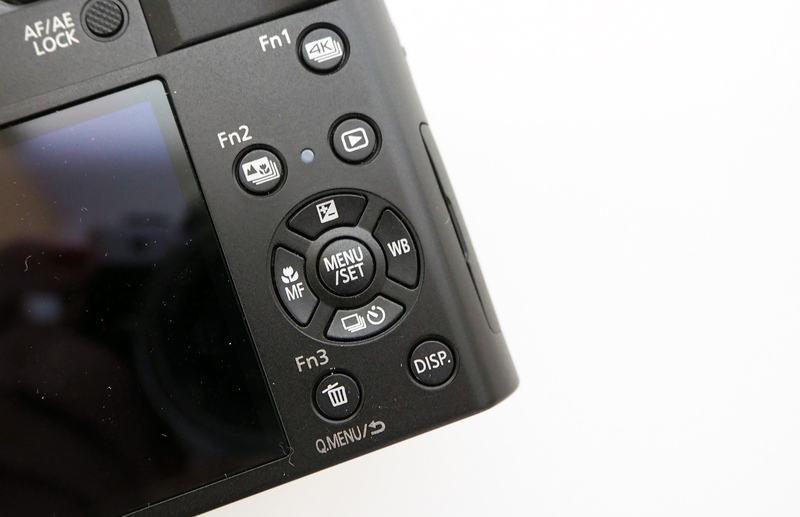 You can, also, accidentally turn the screen off when using it instead of the EVF by covering the EVF with your thumb or fingers when framing your shot so just be careful how you hold the camera if you prefer to frame-up with the help of the LCD. Menus - The menus are clearly laid out, with different sections for the different options and the camera has built-in help to explain each option. You can also use the touch-screen to navigate the menus. There is also the Q.Menu button, which brings up some of the most common options on screen making it quicker to change settings without having to go into the menus. The 4-way controller also gives quick access to a number of settings. 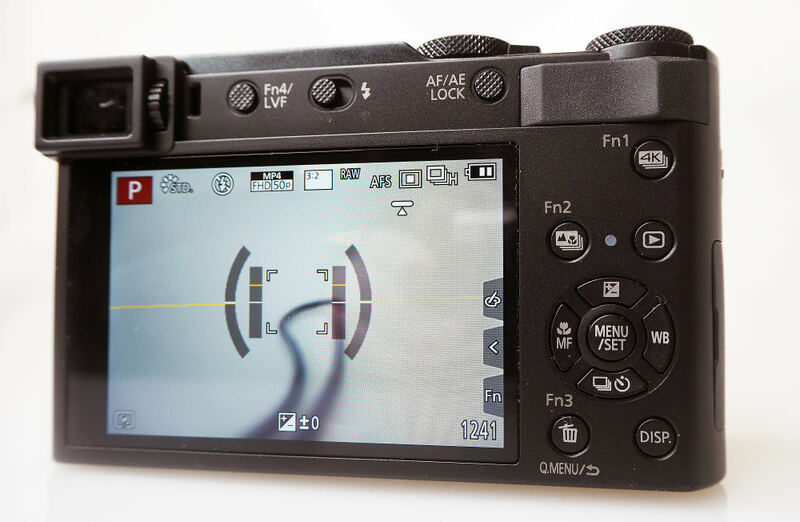 A common feature on modern cameras now is Wi-Fi but something new to the TZ200 which wasn't available on the TZ100 is Bluetooth so you can connect the camera to smart devices and share photos quickly. By using the Panasonic Image App (available for Android and iOS) you can remotely control and shoot with the camera, transfer images, add geotag GPS location data to shots and get creative with your images. When shooting using the app, you can also use the touch-screen of your smartphone to set the focus point, and you can change a wide number of options and settings without having to touch the camera. 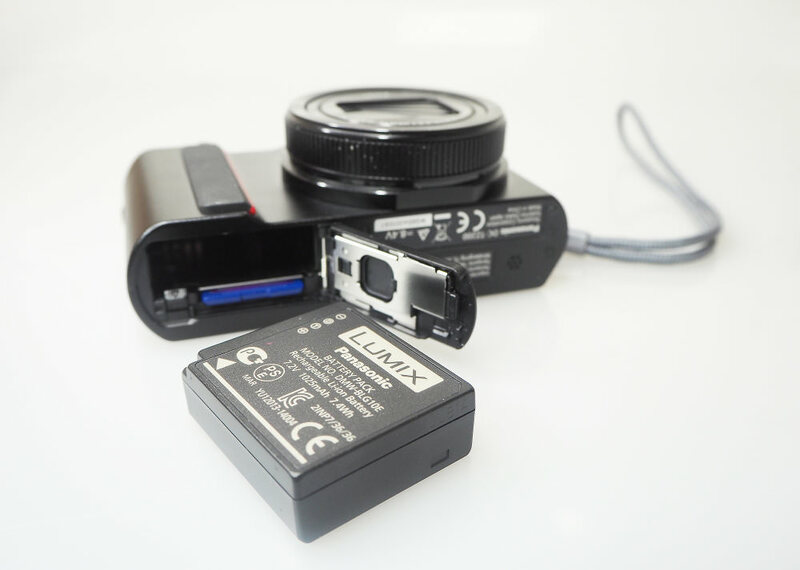 Battery life - According to Panasonic / CIPA test results, battery life is rated at 370 shots when using the LCD and you can top the power level up via USB. Burst mode, which will eat your battery that little bit quicker, sits at 10fps (AFS) and 6fps (AFC). These results are pretty average for a compact camera but they do improve on the TZ100's battery life by 70 shots. You can charge the camera using a MicroUSB cable, which nearly all Android smartphones use, making it easy to find somewhere to charge the camera. Hooray! At last, a compact camera with good sensor and zoom all in one, with what looks like a good viewfinder too! 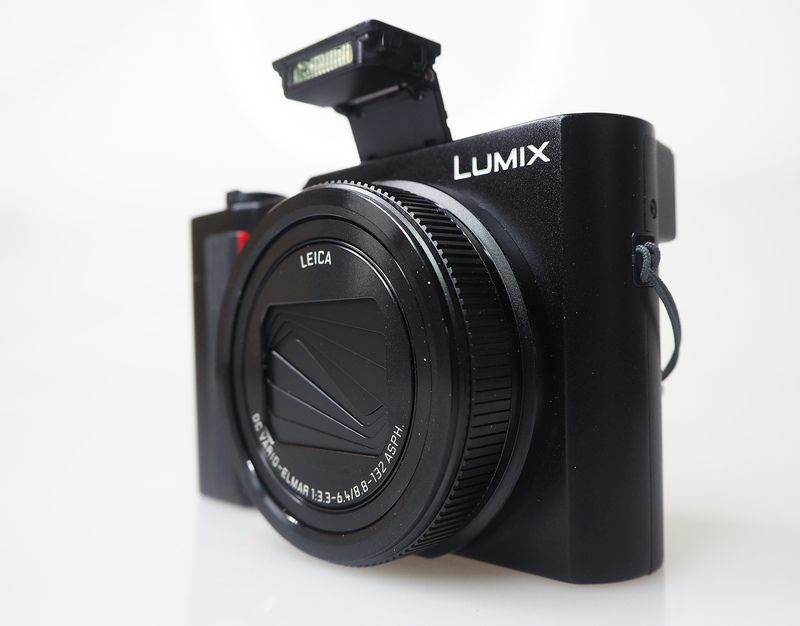 Could it be Panasonic has made my perfect camera at last? [quote]Can't wait for the performance review[/quote] Updated with the full review. Updated with the full review. Mmmmmmm !!....yummy ! Love the overall compactness, with an impressive zoom range, & even an EVF.....combined with great image quality, & nice ergonomics, makes for a desirable take anywhere camera !! Down side ?........no articulated rear screen, & a price that my pockets aren't deep enough for !! Ah well, back to the real world.........:( !! with great image quality, & nice ergonomics, makes for a desirable take anywhere camera !! Down side ?........no articulated rear screen, & a price that my pockets aren't deep enough for !! Ah well, back to the real world......... !! Having owned the previous model, theTZ100, if this new camera is half as good it will be a terrific purchase. My TZ100 got knocked off a shelve by our Christmas Tree and is now in Silicon Heaven. This is half as heavy again and a third as deep again as my TZ 60, which got the same ratings from ephotozine. The battery is 2/3 bigger than mine yet still only takes 370 photos (less using WiFi). Regrettably it is [b]yet another [/b]battery design. The review is also harder to read as it now has 4 different tabs within the page. Hopefully someone will now fill in the blanks in the camera database! On mine photos taken in bright daylight are good but dull days leave me with oil paintings instead of clear crisp photos. One of the plusses you state is "Improved noise performance (over smaller sensor cameras)". Is it really noticeable? Given this has a one inch sensor and 15x zoom compared to the TZ60 with 1/2.3 inches and 30x[b], [i]how do pictures of the same thing taken at full zoom compare when viewed at the same output size? [/i][/b]It's almost double the sensor but half the zoom. I love the GPS on my camera (once it gets enough satellite to give a valid location) and cannot imagine the hassle of linking to my phone to tag the pictures. The Panasonic image app is a pain to connect and to use, and draining two batteries instead of one seems counter intuitive. Does this feature require the image app to be actually live with the screen on and linked? I'd RTFM but it isn't published on the Panasonic website yet ;) Have you tried doing this? Compared to the TZ60, the very short start up time, and time to actually take shots is a great improvement (and I recall that mine was n improvement on my previous camera). No comment on the zoom speed from wide to tele, which has missed me some good shots before now. . You quote 3cm minimum focus, but on my camera that is only at 24 mm and certainly your review gave me the wrong impression before I bought it. At full zoom minimum focus is 2 metres, which means things are too far away to be of any decent size in the final image, and image shake is a real problem. Please explain how micro usb is a plus, except in comparison to the mini hdmi of my TZ60? Surely it should be usb c so I can use the same cable as my tablet and phone? Micro USB is so out of date. The tripod bush is still central to the camera base not the lens - surely a negative feature? The 0.2 inch viewfinder is definitely too small and has pathetic magnification (aka reduction) of the view, but it has thankfully improved the resolution from a miserly 220 dots to 2330 so you can perhaps see what you are about to photograph ! This is half as heavy again and a third as deep again as my TZ 60, which got the same ratings from ephotozine. The battery is 2/3 bigger than mine yet still only takes 370 photos (less using WiFi). Regrettably it is yet another battery design. The review is also harder to read as it now has 4 different tabs within the page. Hopefully someone will now fill in the blanks in the camera database! On mine photos taken in bright daylight are good but dull days leave me with oil paintings instead of clear crisp photos. One of the plusses you state is "Improved noise performance (over smaller sensor cameras)". Is it really noticeable? Given this has a one inch sensor and 15x zoom compared to the TZ60 with 1/2.3 inches and 30x, how do pictures of the same thing taken at full zoom compare when viewed at the same output size? It's almost double the sensor but half the zoom. I love the GPS on my camera (once it gets enough satellite to give a valid location) and cannot imagine the hassle of linking to my phone to tag the pictures. The Panasonic image app is a pain to connect and to use, and draining two batteries instead of one seems counter intuitive. Does this feature require the image app to be actually live with the screen on and linked? I'd RTFM but it isn't published on the Panasonic website yet Have you tried doing this? Compared to the TZ60, the very short start up time, and time to actually take shots is a great improvement (and I recall that mine was n improvement on my previous camera). No comment on the zoom speed from wide to tele, which has missed me some good shots before now. .
You quote 3cm minimum focus, but on my camera that is only at 24 mm and certainly your review gave me the wrong impression before I bought it. At full zoom minimum focus is 2 metres, which means things are too far away to be of any decent size in the final image, and image shake is a real problem. Please explain how micro usb is a plus, except in comparison to the mini hdmi of my TZ60? Surely it should be usb c so I can use the same cable as my tablet and phone? Micro USB is so out of date. The tripod bush is still central to the camera base not the lens - surely a negative feature? The 0.2 inch viewfinder is definitely too small and has pathetic magnification (aka reduction) of the view, but it has thankfully improved the resolution from a miserly 220 dots to 2330 so you can perhaps see what you are about to photograph !